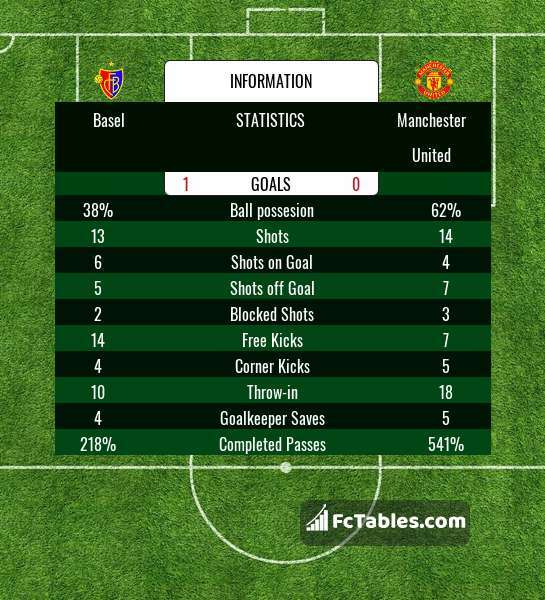 Teams Basel Manchester United played so far 6 matches. Basel won 2 direct matches. Manchester United won 2 matches. 2 matches ended in a draw. 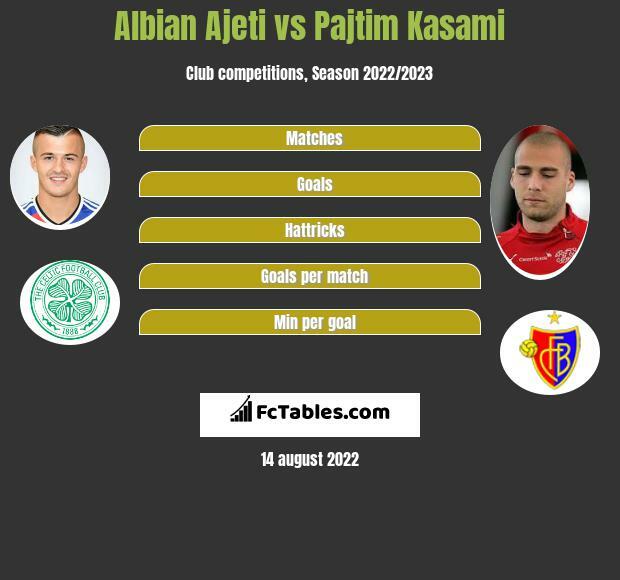 On average in direct matches both teams scored a 3.17 goals per Match. Basel in actual season average scored 1.84 goals per match. In 26 (83.87%) matches played at home was total goals (team and opponent) Over 1.5 goals. In 17 (54.84%) matches in season 2019 played at home was total goals (team and opponent) Over 2.5 goals. STREAKS FOUND FOR DIRECT MATCHES! !» Basel played 3 matches in a row without draw. 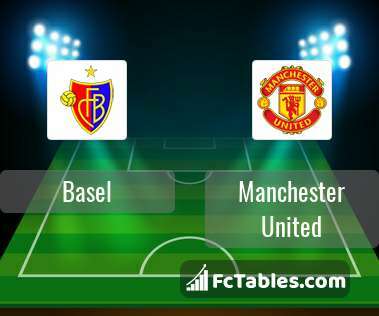 We invite you to check Basel and Manchester United match statistict (Tab Stats->Match statistics), where you will find out who is the best scorer. Also you can check the statistics of possession, shots, corners, offsides, and many other applications. In tab Goals stats (tab Stats->Goals stats) check how many loses and scored goals per game, how many games won and lost to zero. 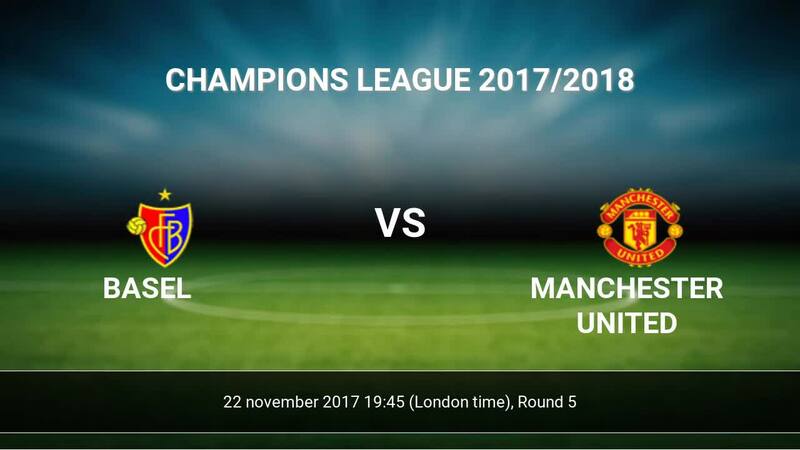 You will find what results teams Basel and Manchester United usually end matches with divided into first and second half. 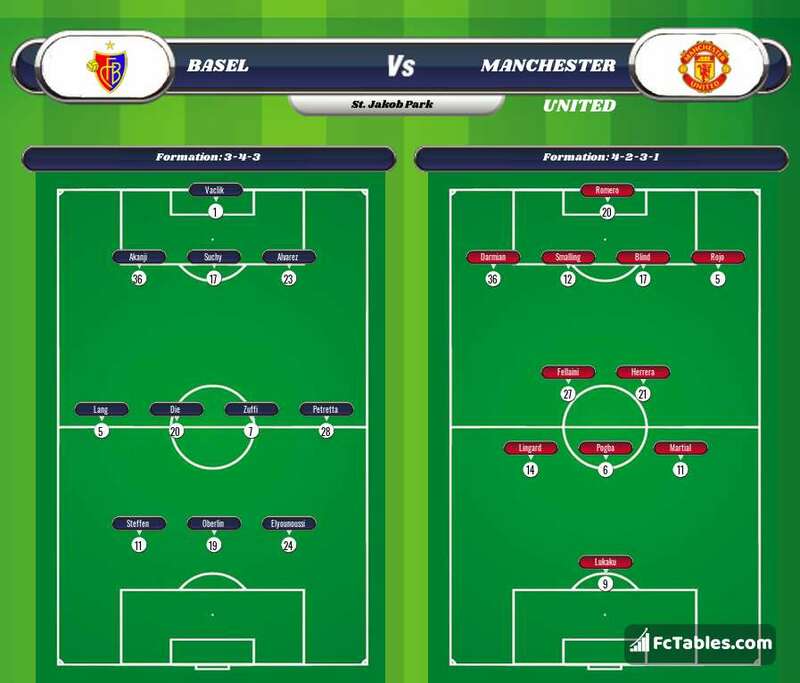 In tab Form(Stats->form) you find graph teams form and a list of all matches of Basel and Manchester United in season.